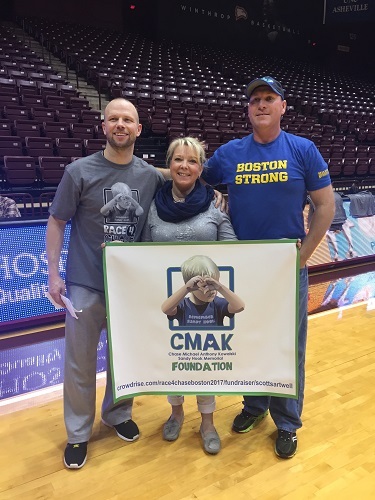 CMAK has awarded Heather Theriault from Madison CT and Scott Sartwell from York SC the CMAK charity bibs for the 2017 Boston Marathon under the John Hancock Non-Profit Program. 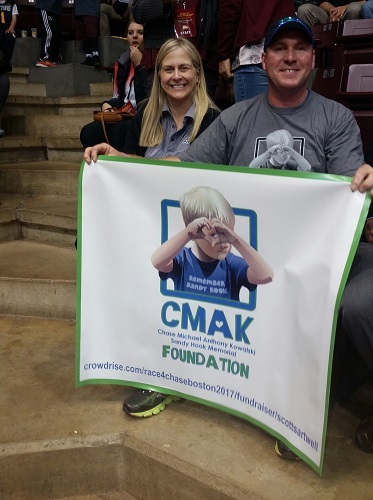 Both Heather and Scott Sartwell have proven to be enthusiastic supporters of CMAK and its programs. 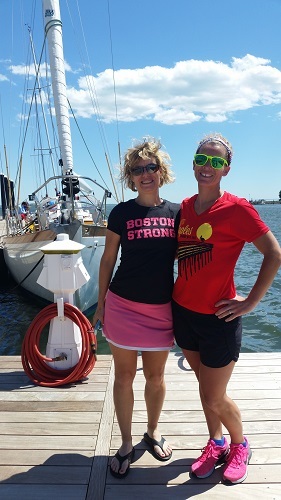 Heather (center) was the architect and of the “Chase the Coast” triathlon where she and her colleague, Chris Kopcha, completed a full Ironman distance triathlon from the southern most point of Connecticut (Byrum Beach) to Westerly Rhode Island and raised funds to support the Race4Chase Kids Triathlon Programs. Her daughter had such a wonderful experience with the Race4Chase Kids Triathlon program, she was inspired to give back to the program accomplishing this marvelous feat. 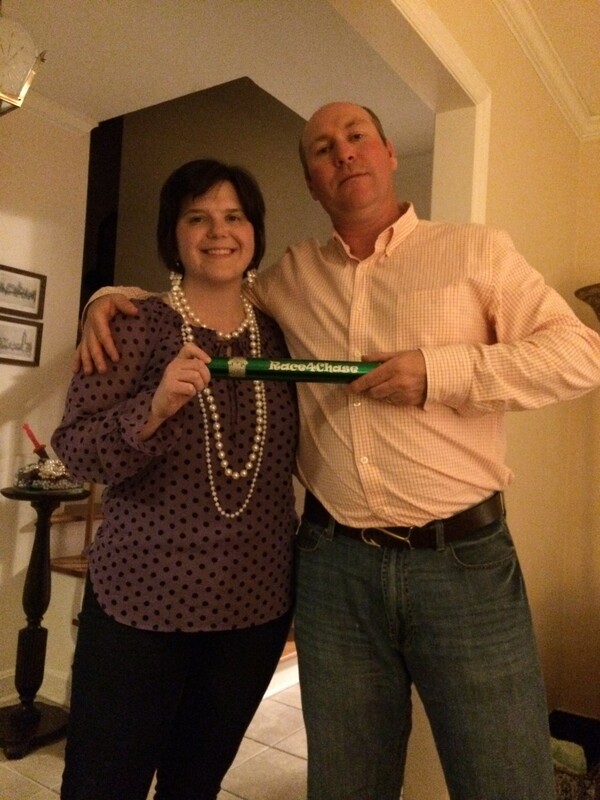 Scott Sartwell was introduced to the CMAK Foundation through the Race4Chase baton program where he accepted the #4 baton from Dyan Coker and ran the Asheville Half Marathon. 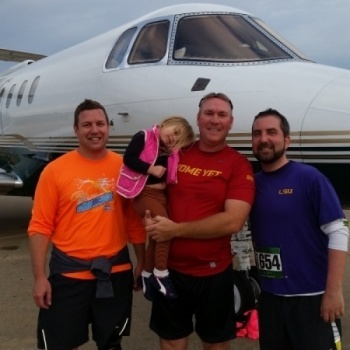 Scott continued to stay in contact with the Foundation and eagerly volunteered to help with the Race4Chase Kids Triathlon programs when it was introduced to Fort Mill in 2016. Scott hosted a bbq for CMAK supporters at his home and was instrumental in the smooth running of the first Race4Chase FINALE in Fort Mill SC this past August. CMAK can not think of any more deserving individuals to represent Chase at the Boston Marathon. Heather and Scott will be having events to support their fundraising campaigns to reach their required $5,000 minimum requirement. Scott already organized one such event as part of the Winthrop University Men’s Basketball team victory against UNC Asheville. 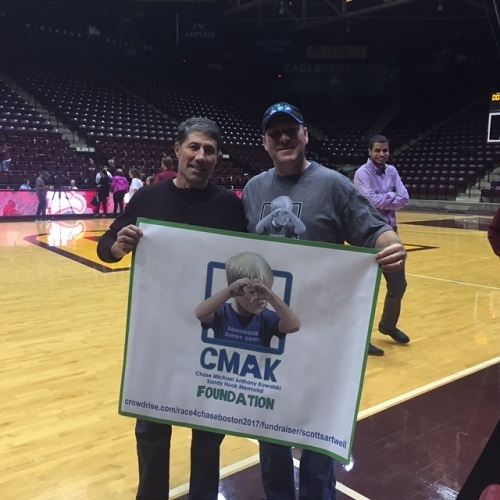 Rebecca Kowalski joined the event to support Scott and took the opportunity to sign an MOU agreement with Moe Bell from the Upper Palmetto YMCA at midcourt at halftime to confirm four Race4Chase sites to operate in the Fort Mill area in 2017. 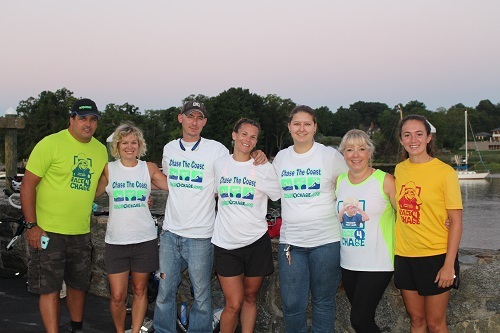 CMAK continues to add qualified marathoners to the team. 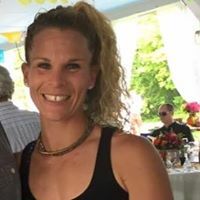 Our Race4Chase team captain will again be Amanda Jacob Erickson who is back to her marathoning ways after her marriage to Ryan this August. 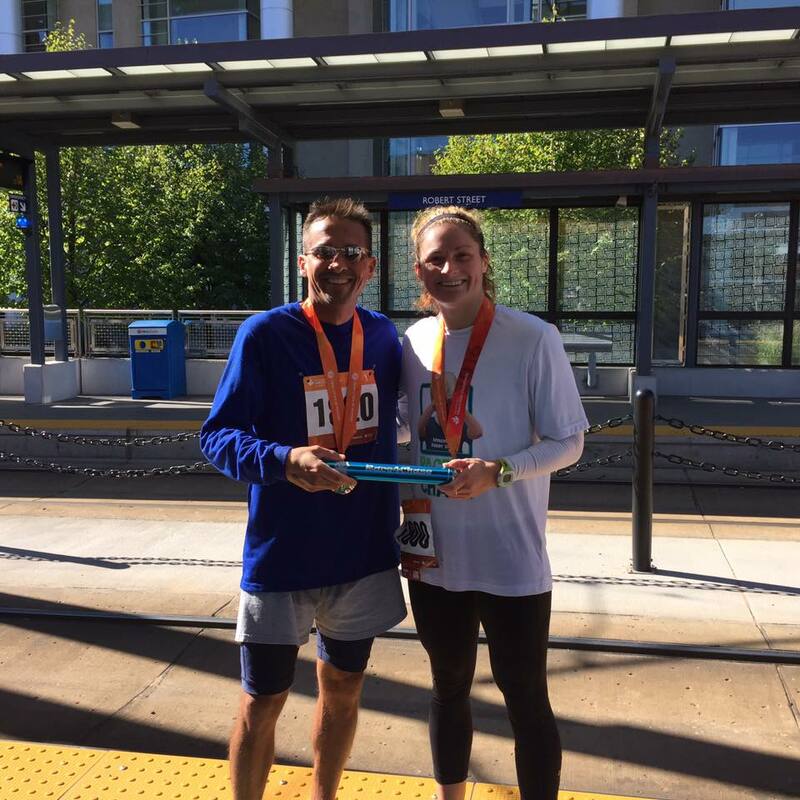 She will be joined by John Wedding, a recent baton recipient from Louisville Ky, who has the fastest marathon time by a Race4Chase athlete at the Monumental Marathon in Indianapolis this past October. 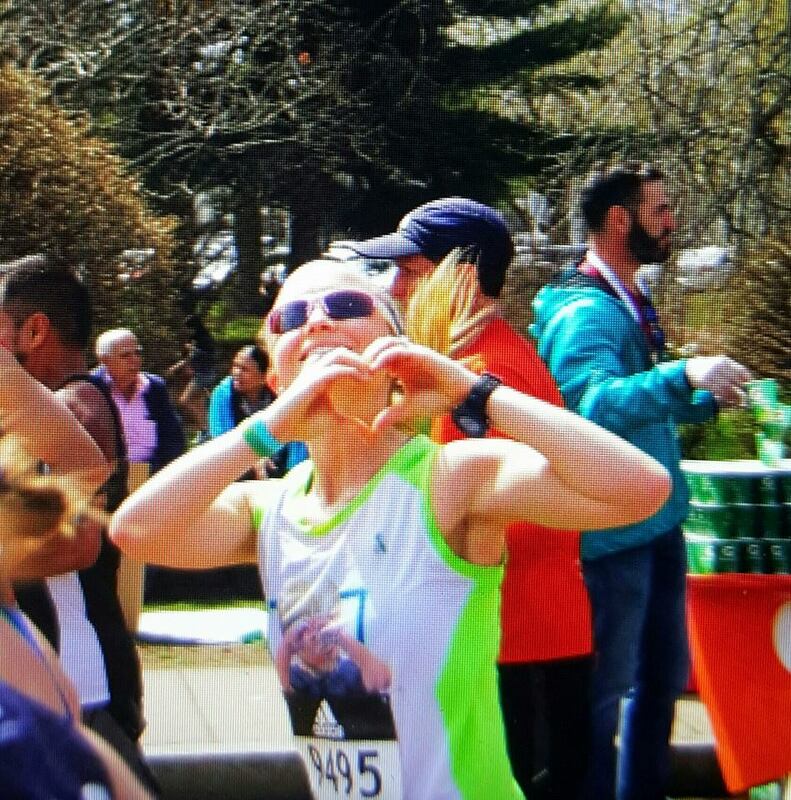 Amanda also competed at this marathon, her first after returning from her honeymoon. We continue to encourage any qualified marathoners to join the team and support the cause. 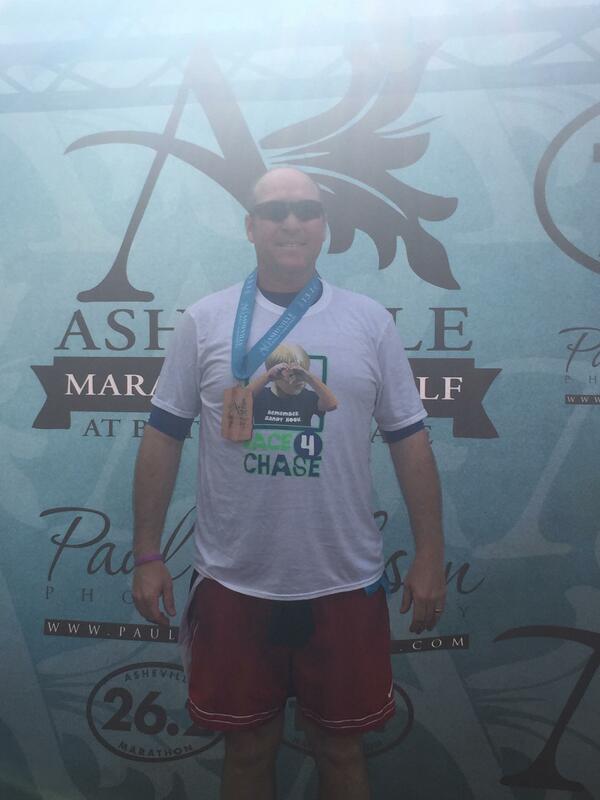 There is not a deadline for qualified marathoners who want to join the Race4Chase team. There is no minimum fundraising requirement to be part of the team if you have secured entry on your own. Last year, the team consisted of seven runners and we hope to exceed this number for 2017.